Frostweed, originally uploaded by trekr. 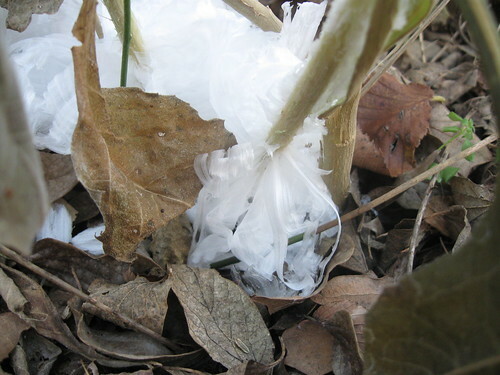 It was 20 degrees the other night and the Frostweed “bloomed”. Frostweed (Verbesina virginica) is also called Indian tobacco. This entry was posted on Saturday, December 12th, 2009 at 1:02 am	and is filed under Uncategorized. You can follow any responses to this entry through the RSS 2.0 feed. You can leave a response, or trackback from your own site.